The Brujah are warriors — but always warriors for a cause. The fierce heat of passion burns within their cold, dead breasts and it drives them to champion causes that they believe can set the world to rights. When Caine slew his bother, he threw the world from its intended course. The horror that it has become must be corrected, and the Brujah intend to do just that. Each member of the clan has her own vision of the way the world should be, and she strives to make that vision become a reality through argument, manipulation and force of arms. In the earliest nights, passion was not a trait of the Brujah. Indeed, the founder of the clan, Troile, was actually Embraced for his cold wisdom. His ability to asses the virtues of an idea without emotional involvement was valued by his sire and grandsire. However, in his long years banished from the sun, he grew ever more remote from both the humans of the First City and his own childer. What few emotions he had left atrophied completely. As he developed theories, his experiments to test them became ever more cruel. He would use and sacrifice the living and the Damned, just to satisfy an idle whim. One of his childer, whose name is lost to time, could no longer stand by and watch this cruelty. He dreamed of a world in which the humans and Cainites had at least an understanding. Even then, he thought that genuine peace was too much to ask. He tried to convince his sire to abandon his ruthless behavior. Troile's arrogant dismissal of the childe's arguments drove the childe to the very edge of frenzy, and he threw himself at his sire. Long out of practice in hand-to-hand combat, Troile eventually fell beneath his childe's fists and fangs. Once he had tasted his sire's blood, the childe was unable to stop himself drinking. Within minutes, Troile was no more. From the shadows stepped Caine himself, his face clouded with fury. "Never before has one of my progeny drunk the very soul of another. I curse you ever to aspire to your sire's wisdom, but also to be prey to the very fury which led you to this diabolic act." The childe took the sire's name and position among the third generation. He assumed the burden of Caine's curse, but also strove towards his own vision of a better world. His passion seemed to spread like wildfire through the line of his childer, and at first he rejoiced in their crusading zeal as they worked to make the world a better place. In the city of Carthage, Troile (the younger) and his childer worked to establish what he had dreamed of in earlier times: a society in which mortals and Cainites coexisted for their mutual benefit. But again and again he saw those of his clan start to repeat his mistakes and give in to their anger. In despair, he left the city and was never seen again. Carthage fell far from that ideal, until even some of the demon-worshipping Baali were welcomed within its walls. Soon, the other clans acted under the guidance of Roman Ventrue to destroy this abomination. The Brujah have fought to improve the world ever since, but the failure of their grand experiment has made their blood boil ever hotter. As the centuries pass, the world seems ro fall ever further from what it should be. As kine philosophies, religions and ideas multiply, proliferate and die, the clan becomes more divided as to what should be done to make the world right — and even as to what that right should be. Many of the younger members of the clan no longer heed the wisdom ot their elders. Their blood calls to them to do something now, not watch and observe for a few centuries until the patterns of society become apparent to them. The elders merely shake their heads and recall the misjudged dreams of their own youth. Some Brujah follow the great philosophies and religions of the past, while others adopt new faiths and ideals with equal vigor and convince themselves that the salvation of the fallen world lies there. Some even jump from idea to idea in search of the one that fires their imagination and drives them toward a better world. All of them pursue their ideals with vigor and commitment that would put a hardened crusader to shame. Appearance: The Brujah have always chosen among the best of humanity for their childer, so most of them are strong, well built and imposing. However, they tend toward the ideal of fitness, rather than simply transitory notions of beauty. The women are striking, rather than beautiful, for example. The clan's adoption of, and commitment to, mortal philosophies and ideas keeps the Brujah in touch with mortal fashion, and most dress in ways that match the local area. Most tend to be extremely neat in their dress, as if perfection in attire could help their quest for perfection in the world. Haven and Prey: Almost without exception, the Brujah choose to live amid the bustle of humanity, usually in a city or busy town. They pick places where exceptional thinkers or believers make their homes. Often a sire and childe haven together, with the sire subjecting the fledgling to long periods of tuition and physical training. In recent years, small groups of young Cainites with similar beliefs have set up communal havens. Most Brujah prey on the dull, the weak, the ignorant or those who choose to take a stand against the idea that the vampire espouses. The dullards should perform some small service, even if they can't see the truth. The Embrace: The Brujah look for three qualities in recruits: commitment to a cause, the intelligence to comprehend that cause and the passion needed to make it a reality. Most choose their childer from the upper echelons of society, assuming that the most capable can be found in their number. A small but significant number of the clan, however, were low-born in life but showed enough drive, belief and spirit to attract the attention of an undying Zealot. Character Creation: The majority of the clan takes either Physical or Mental Attributes as their primary group. Younger members of the clan are slightly more likely to have Physical Attributes as their primary choice. Social Attributes almost always fall a poor third. Their Demeanors are often cold and aloof, but all have Natures that are passionate, even aggressive. Most have a decent balance of martial Skills and Knowledges. The newly Embraced sometimes have Talents as their primary group, as their sires plan to mold the development of promising childer so that they come to espouse the correct ideals. Most of the clan can be found charging along the Road of Humanity, the Road of Heaven or even the Road of Kings. Weaknesses: Thanks to Caine's curse upon the first diablerist, the fury of the clan's founder runs through the veins of all Brujah. Their tempers are always close to the surface, which makes them even more prone to frenzy than other Cainites. The difficulty of a Brujah's roll to resist frenzy is always two higher than the listed number. 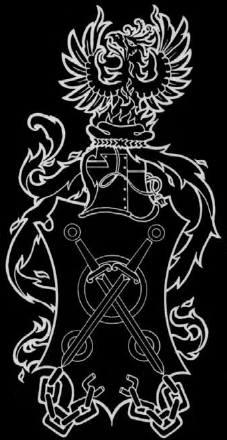 Organization: The Brujah have found so many different ideals to espouse in the Dark Medieval world that they find it increasingly hard to work together. Often a sire and her fledgling stay together for some years, with the childe acting as an apprentice to his sire. The childe usually finds his own cause and sets off alone to pursue it wherever he thinks best, rather than waiting to be formally released. In some major cities, groups of Brujah gather every few years for grand councils in which each puts forward his or her view of the world and the clan's role within it. Sometimes they achieve great things at these councils, and a great and passionate speaker wins over many of her fellows to a particular cause. More often than not, though, they become week-long exercises in circular debates and all-out conflict. Quote: With the wisdom of a few more years behind you, you will be able to see why what you propose is wrong. I truly believe that my way of addressing this challenge will achieve the best results for us.